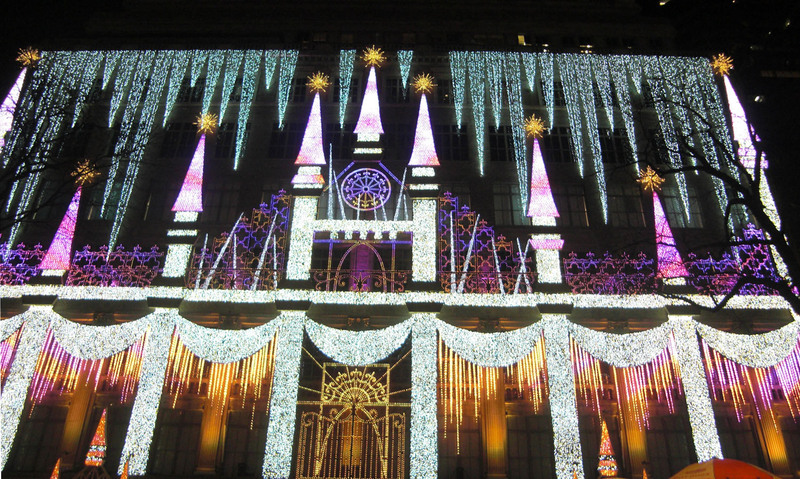 The holiday windows make New York City an alluring destination in December. 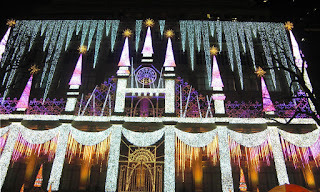 But the most spectacular sight is the light show that plays out every few minutes on the facade of Saks. This year's version is my favorite so far. A clock ticks down then the turrets and gates of a castle appear. Colors wash over the turrets, fountains splash up and the aurora borealis moves across the "sky." Thousands of people can watch from Rockefeller Center right across the street. In the midst of all the hustle and bustle, nearly everyone stops to turn their faces upward, oohing and aahing. It's a communal experience full of the joy and wonder that we all hope to find during this season.